I'm trying some concepts I've seen online and heard about from friends for our food trailer tonight. We are mostly equipped to fry things, having two 40 pound gas fryers and a 24" gas flat top onboard, so that's the kind of food I've focused on. Here's a few conventional things turned non-conventional with a mashup of finger food favorites! 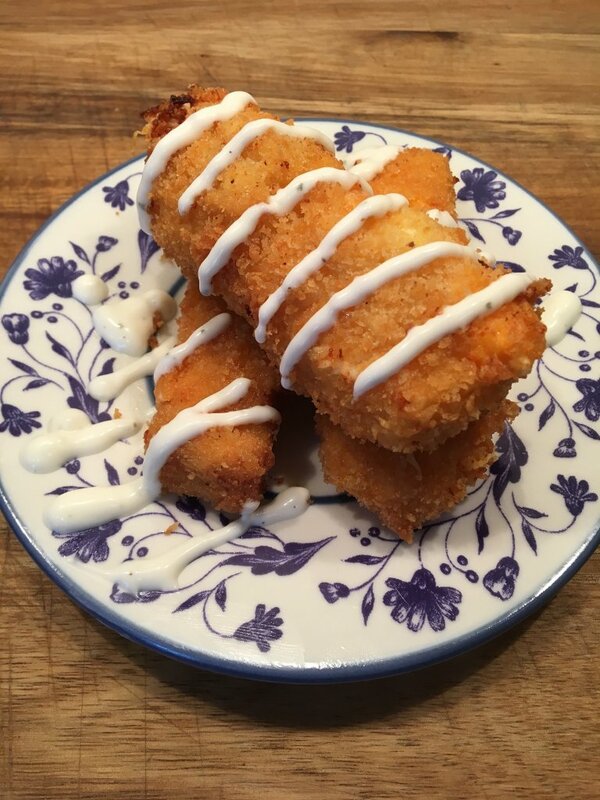 Buffalo chicken stix; these are a mix of shredded chicken, cream cheese, shredded cheese, and buffalo sauce that is covered in Panko crumbs and fried crisp. 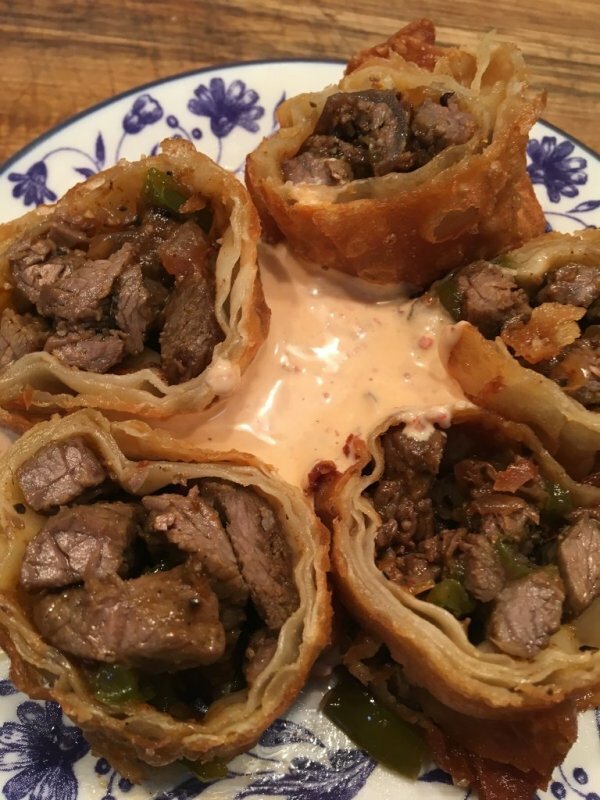 cheese steak egg roll with homemade chipotle sauce. 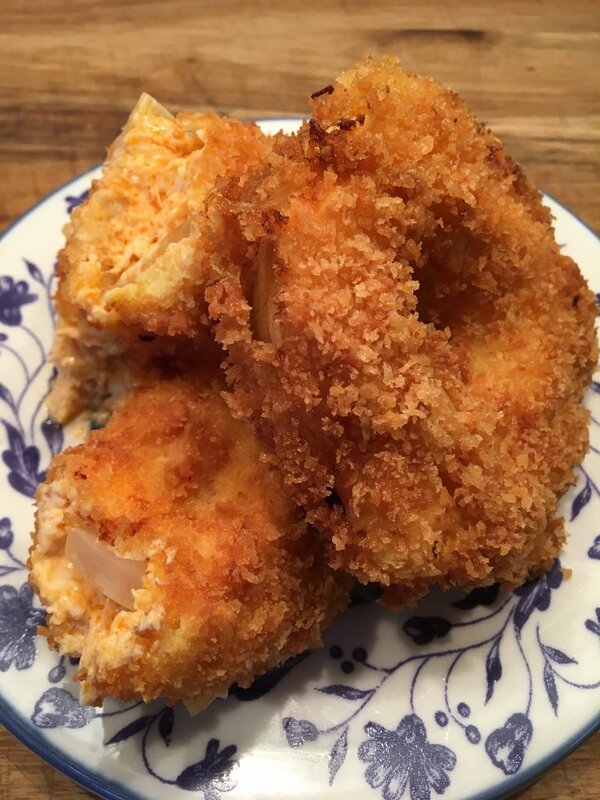 buffalo chicken stuffed onion ring; same buffalo chicken mix as what was used in the stix, stuffed in a compound-onion ring, Panko breaded, and fried crisp. These are some things that could possibly be served on our food trailer. There's a lot of prep work involved here but they fry quickly, taste great, and to me have a certain wow factor. What do you all think? You kniw more about the food bussines than i do. You mentioned these things are a lot of prep work. As long as you can make enough money so it's worth your time, sounds great. Just out of curiosity, how much of your business is repeat vs first timers, do you have to draw in customers, or keep them coming back? We've only been out twice and had great success both times. Our first run was pretty hectic because we got an unanticipated 96 orders and had to put them out in rapid succession; it took us 3 hours to get those out! We were set up outside a local craft brew store/tasting bar and only had 12 walk up customers or so but I was relieved because we were maxed out with the orders. This last time we were out (this past Friday) we set up outside our work; we work for a major baked goods manufacturer and they allowed us to set up next door at the retail outlet. We had a ton of repeat customers from work and family/friends come out. I was also pleasantly surprised that we had 32 credit/debit card payments via our Square reader so I can use their free analytics for tracking. We sold out of burgers about 4 hours in and had to get more. 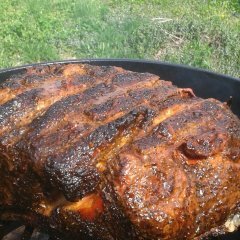 The pulled pork I smoked for our loaded fries went shortly after. We switched up the loaded fry and made it a chili cheese fry with good success. As as for the prep work, I don't mind prepping something a day or two in advance if it will be a quick turnaround deal. Typically I spend the better part of the week preparing for a setup; I scout grocery deals, do the Facebook/Social Media promoting, and drum up business in the first part of the week. I get the groceries on Wednesday, do prep on Thursday, and we setup on Friday. Saturday is cleanup day and we plan our next outing. It might be a good thing that I don't live nearby.. I'd be stalking your food truck and waiting outside your house. I'll keep an eye out for interesting things on some of the food network shows we watch... "Carnival Eats... Diners, Drive-ins-Dives... Cheap Eats... They have all kinds of awesome stuff on some of those episodes. PB&J French Toast (sticks)... I make a PB&J sammich and dip it in egg/milk and fry like French Toast... You could do something similar deep-fried? Dude I gained 10lbs just looking at that, Bravo!!!!! I'll take 3 of each. Food looks fantastic. They all looked good. 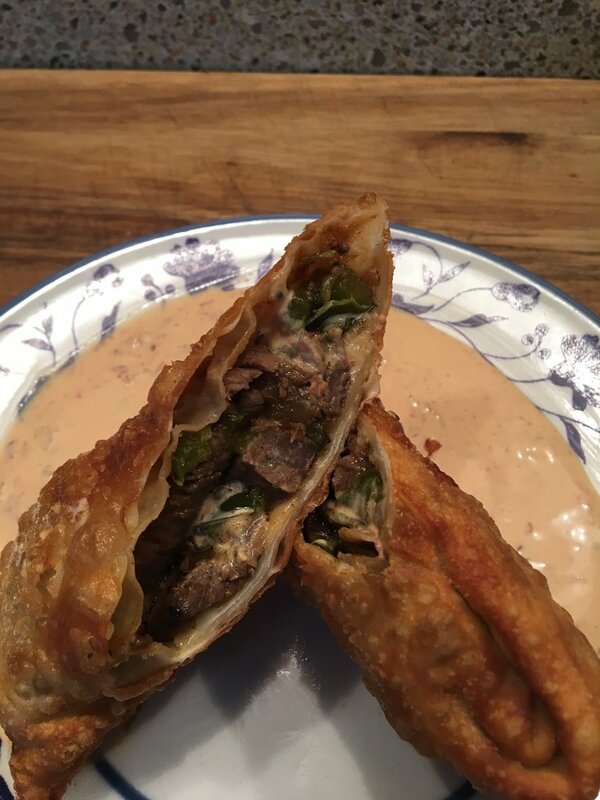 Steak n cheese egg roll sounds really good. Great concepts and execution! All of those look fantastic and I'd try all of them! Thinking about this some more - currently you're getting different customers each time. Eventually you'll start going places where you're getting repeat customers. Having some staple items along with a different special or two each time keeps the menu fresh for repeat customers. Last thing you want is good customers that like your food but go somewhere else because they've already had everything on your menu. Of course I'm sure you've thought of this already - I'm just rambling on. I would take a order of the Buffalo chicken stix... O and charge it to ckreef. This one got buried... sorry for the delay in replies. These are some items we are going to try on the trailer here soon. I can't wait to see how they sell!